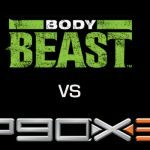 You are here: Home / Reviews / 10 Differences Between P90X vs P90X3: See Which One Is Right For You Now! 10 Differences Between P90X vs P90X3: See Which One Is Right For You Now! P90X was groundbreaking in a lot of ways, as it helped millions of people lose weight and get toned from the comfort of their own homes. It’s success brought about P90X2 one year later. The big difference between P90X vs P90X2 is that P90X2 relies on more resistance training and full body workouts, instead of the targeted approach in P90X. Sales and reception of P90X2 wasn’t what the franchise had hoped for, and a lot of the mistakes made in P90X2 were fixed with the release of P90X3. Both P90X vs P90X3 are fantastic programs that were designed for anyone to lose weight, tone, and build new muscle. Below, we found ten key differences that will help you decide which program is best suited for your needs. 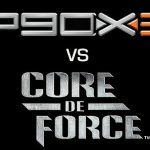 The biggest fundamental difference between P90X vs P90X3 is that the X3 series only last 30 minutes for each workout, while P90X can last over an hour, at times up to 90 minutes. A lot of the time spent in P90X is warm up and cool down, which there is very little of in P90X3. 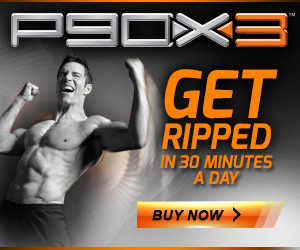 There is a fantastic Ab Ripper X3 for P90X3, but it only comes in the deluxe package. Ab Ripper X for P90X is built into the P90X program, and is part of your weekly workouts. Because you only have 30 minute workouts in P90X3, there isn’t a lot of time for Tony to coach you on how to do the moves like he does in P90X. While he does do a good job for a lot of moves, beginners might prefer the additional time he takes to guide you through some of the combo moves. Anyone who has done one of these programs knows how hard they are to finish, both because of the intensity of the workouts, but also because 90 days is a long time to commit. P90X3 has had less people report they gave up than does P90X because 30 minutes a day to workout is more realistic for more people, especially when you lose a crazy amount of weight on either P90X or P90X3. For better or worse, the fact that you’re working out for twice as long in P90X vs P90X3 means you are spending more time developing strength. While there are people on both sides of the fence as to which program will help you lose weight faster, it’s hard to argue that P90X is better for developing shear strength. Imaging getting the same workout in half the time. You can’t really go slow, so you need to be able to jump into new moves more quickly, and it requires more core work and balance in a shorter amount of time. Despite only working out for half the time over the course of the program, P90X3 actually burns more fat. Why? Because you are constantly pushing your body past what’s comfortable. That’s not to say you’ll be comfortable doing P90X, it’s very hard, but your body is in a higher “fat burn” mode with P90X3, and results have proven great weight loss in test groups. Anyone who has done P90X3 that I’ve talked to knows what I’m talking about — the Challenge is the best (and sometimes worst, but in a good way) program Tony Horton has ever come up with. The Challenge is probably the hardest P90X3 workout. In 30 minutes, this pushup/pullup exercise is a great baseline for your fitness, and leaves you feeling the burn long after your workout is over. Other than building strength, P90X3 offers more benefits and has more success stories than P90X. While both P90X vs P90X3 needed equipment to see the most results, people still seem to enjoy P90X3 more, and personally, I’ve seen better results from the condensed version. So I can build decent muscle with x3 and still have energy to take up boxing 2 days a week outside of the x3 program? What about a 3 day full body weigh schedule alternated with 2 cardio days vs P90x3? Thanks for input and response! Absolutely! When I first went through P90X3, I did so without any other training and built pretty good muscle in those 90 days. However, P90X3 can also be used in conjunction with other workouts like boxing or traditional weight lifting. You’ll have to play around with making up your own schedule in terms of the workouts, but it can work. X3 is meant to keep your heart rate spiked for the whole 30 minutes, which is tough to do in a traditional weight lifting session. You will probably get more lean sticking with P90X3 vs the traditional weights/cardio routine. Will X3 build as much muscle as P90X? If I cut rest times and FF on the P90X routines cutting the workouts down to 30-40 minutes will results equal those of X3 or would you recommend that I just go with X3? I honestly don’t have more than 40 minutes to devote to training. Any suggestions appreciated. P90X3 will not build as much muscle as P90X. With that said I would recommend just going with P90X3 if you are truely on a time constraint. They did a great job getting X3 down to 30 minutes, but obviously still had to sacrifice some gains with the shorter program. If you end up trying to cut the P90X workouts to 30-40 min I would love to hear your results! Best of luck!